It's one thing to find a great consumer product or service you really like to use, but it's another thing altogether to discover something so good that it seems to really get you. In college, and for years after, I drove a Honda Accord hatchback and put more than 300,000 miles on it. That old car just fit me and my life perfectly. More recently, Dish satellite TV is one example of a service that just gets me. It works the way I want (and expect) and offers levels of service that usually make sense. As a result, I've been a customer for many years and use it all the time. I'd put the Starwood Preferred Guest rewards system on the same list, too. They're both just right. When it comes to cars, it's harder to find a car that really feels like the designers and planners truly had me (or someone like me) in mind. There are plenty of good cars, but that's different than one instantly giving you the "Juuust Right" feeling. Here are five cars that feel exactly like Goldilocks' last bowl of porridge. 2015 Chrysler 200 -- I know, it sounds like a punch line. The previous 200 wasn't good, but the car was completely redesigned for 2015, and everything changed. The interior is surprisingly elegant, especially in the 200c version, and the car is both good-looking and fun to drive. Opt for the V6, and there's a cool exhaust note. It's the best combination of a compact and full-size sedan. In my perfect world, the back seat would be a tiny bit bigger. 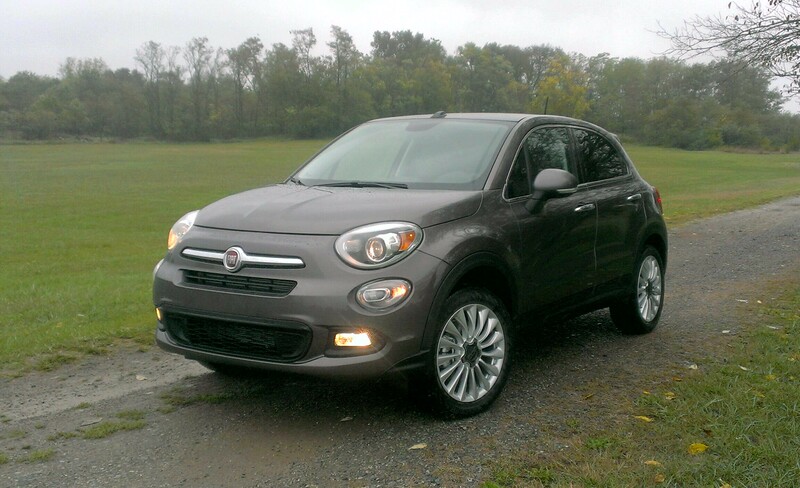 2016 FIAT 500X -- I don't like small cars, so the 500X was probably doomed in my "bigger is better" book from the start. However, the 500X doesn't have any of the usual small-car issues. The ride is reasonably smooth, but handling is excellent. Too often engineers opt for race-car-like handling to mask the car's inherent low-buck feel or opt for super-soft suspension to hide antiquated mechanicals or to appeal to long-distance commuters. The 500X does neither. Ride and handling balance are on par with Europe's best. The cabin even stays quiet on the highway. If you're considering a MINI Cooper, test drive the 500X. However, don't be fooled by the FIAT 500L; it's a completely different car than the 500X. 2015 Acura RLX -- Here's a short list of qualities you won't have with the Acura RLX: blistering speed, aggressive styling, razor-sharp handling, bling factor set to 10 and, finally, impressed neighbors. Acura's RLX is subtle in almost every way. The exterior look is low-key, the interior is plush but not ostentatious, the engine delivers smooth and confidence-inspiring power, and RLX engineers clearly emphasized ride comfort over track-ready handling. That's all fine by me. I know 310 horsepower isn't huge (even the Honda Accord Touring has 278 hp), but the RLX just works in a seamless manner. For me, it adds up to a car that's just right. The only drawback is the Acura RLX costs $55,000. 2016 Subaru Legacy -- With many car owners holding on to their cars for more than a decade, the new car-shopping experience is bound to hold a few surprises. Subaru is one of those pleasant surprises. The Legacy is the perfect balance of fun and frugality. All-wheel drive is standard, and Subaru has excellent safety features, including EyeSight, which can warn the driver if a front-end collision is imminent and even help avoid the collision altogether. No one will mistake the Legacy's interior for a Mercedes-Benz, but it is comfortable and functional, with a look and feel putting it in on par with cars such as the Honda Accord. There's an effortlessness to driving this car, somehow combining fun with a laid-back quality. Also, the tech on past Subarus has been clunky at best, so the new tablet like interface is a welcome addition. Base price for a new 2016 Subaru Legacy is about $22,000. 2016 Lexus RX -- This one is surprising to me, since I'm typically not a huge fan of Lexus, or SUVs in general. However, after a day of driving the new Lexus RX, I found it to be an excellent luxury vehicle; in fact, it's one of the best all-around luxury vehicles regardless of price. Lexus has really cranked up the volume on luxury in recent years, and the RX is proof their formula is working. From behind the wheel, the RX feels more like a car and less like an SUV. Also, there's a new F SPORT hybrid (basically, a sporty fuel-sipper). It sounds crazy, but it really works, and this is the best version of the RX in terms of performance, comfort and economy. The 12.3-inch display screen is amazing, and the Remote Touch controller is intuitive once you figure out what it can do. Finally, the Mark Levinson audio system and Harman's Clari-Fi make compressed files and satellite radio sound great. Every luxury automaker needs to have this system. 2015 Nissan Rogue - I wasn't expecting to like the Rogue, but I have to admit, it's probably the best car of its kind. Again, it's not flashy or impressive at the curb, but there's something about the way the Rogue combines classy and functional that is very appealing. In a new era of less is more, the Rogue is perfect. It's the smallest car most families can live with without feeling cramped or like they had to save money by getting a cheapie.